"Find all of the devices on your network, their addresses, and available services." PortScan is a simple and easy to use networking tool that allows you to scan and identify any device that is actively connected to the same network that you are connected to. You can discover the IP addresses, MAC addresses and see available services to each network device. PortScan will show all open ports and any other additional information that it can retrieve from the connection. 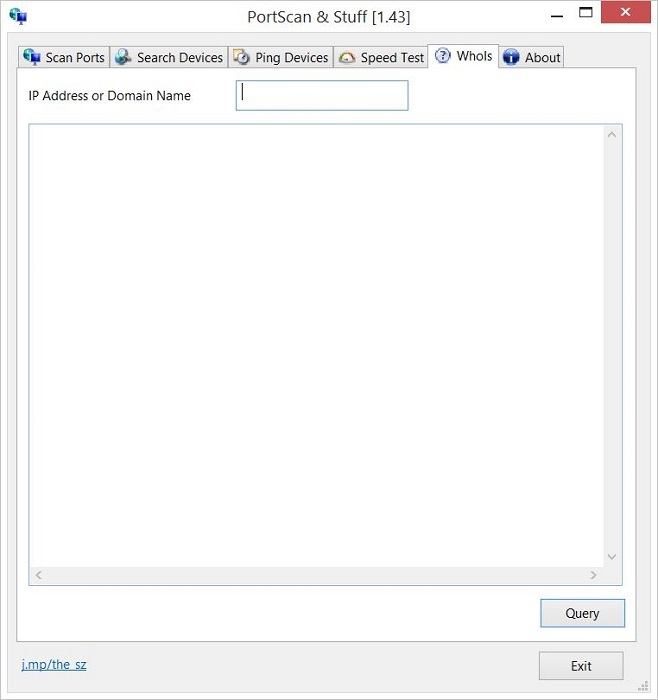 This includes information like the host name of the device. Up to 100 threads can be used for scanning large IP address ranges. PortScan is a great way to find out who or what has access to your network and why. Using the information that PortScan provides you from simply scanning the ports, you can determine whether or not a device should be permitted on your network in order to make the necessary changes in your networking settings. These settings cannot be altered from within PortScan and must be addressed with your dedicated network settings application. For home or small office routers, these settings can usually be accessed by logging into your web based network management system that is usually on the domain 192.168.2.1, 10.0.0.1, or similar. If you are not the network administrator, you will want to contact that individual for necessary permissions and other information. Have you ever been trying to set up a UPnP device, but didn’t have its IP address? Luckily PortScan has a fix for that. 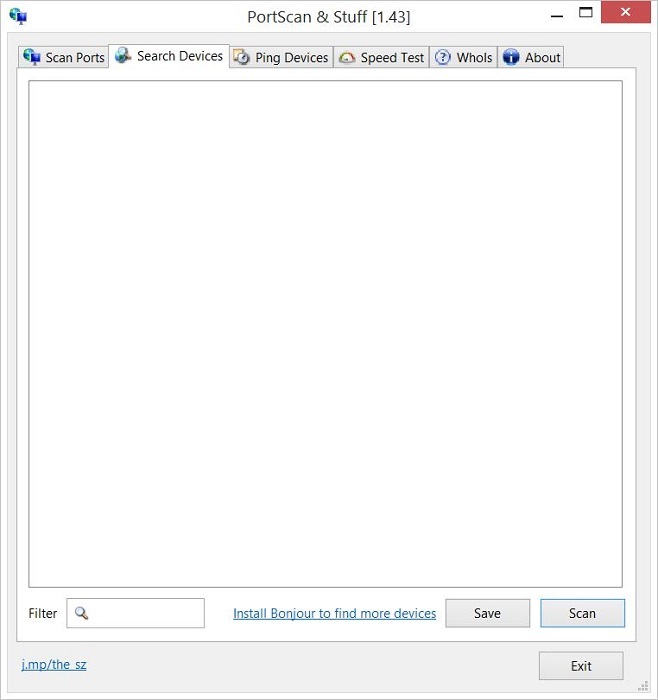 With the Search Devices feature, you can search for all UPnP enabled devices, Bonjour services, Netgear router, Samsung printer, HP printer and Freecom network devices. This allows you to find these devices and their information without their IP addresses. You can also ping any computer with 3 standard sized ping packets. The ping packets can ping a computer 10 times each at 3 different sizes. Curious about your networking speed? Aren’t we all? If you are one of the billions of people who care about the speed in which they are accessing the network, you can check the speed with the Speed Test feature in PortScan. 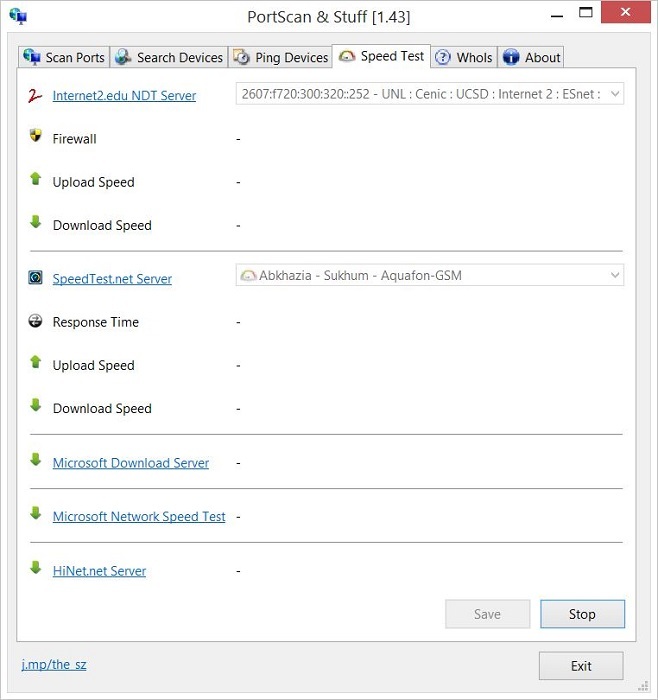 This will run an internet connection speed test that will perform downloading and uploading tasks to various servers in order to get an accurate reading of your connection speed. A latency test and an open port test is also included. Latency, a synonym for delay, is an expression used to define how much time it takes for a single packet of data to get from one designated point to another. The latency test included in the speed test scan checks the latency on your network. 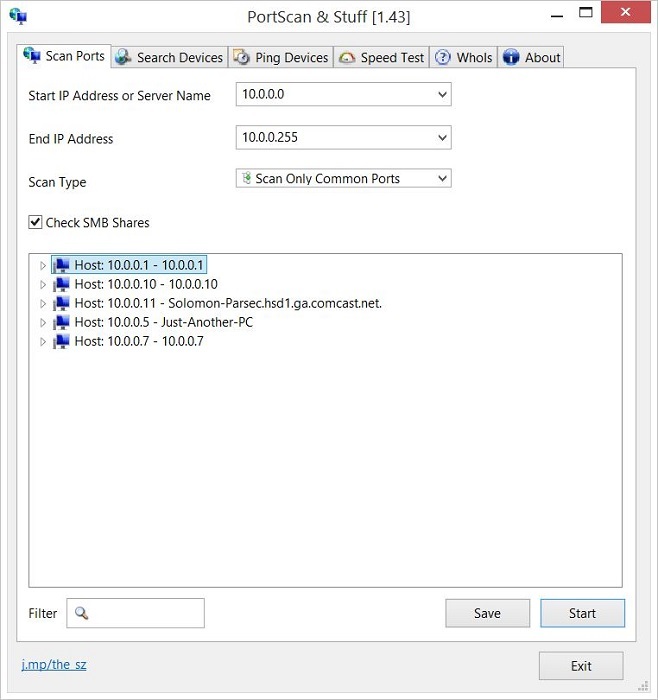 The open port test checks to see if there are open ports on your connection, testing whether a port is correctly set up or if it is being blocked by another program, such as a firewall. One of the greatest features of PortScan, outside of the ones discussed already, is the ability to save your gathered data to an XML file so that you can keep a record of your tests for later review.